Description: One thousand years ago, the great Kami Dragon was summoned to grant a single terrible wish—and the land of Iwagoto was plunged into an age of darkness and chaos. Wowza. Not even sure where to begin with this one. 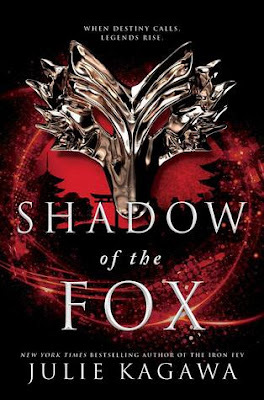 The amazing Japanese lore, world building and characters just make this book into a total adventurous package. Julie Kagawa definitely nailed this one! With our protagonist, Yumeko, she's young and very shielded from the world for good reason. I will say she came off very naive, almost baby-like, and while it annoyed me a bit in the beginning, I began to understand that she was growing with the story and becoming who she finally needed to be. She's the type of character you become proud of. On the other side, I adored all of the side characters. Okame, Daisuke, and especially Tatsumi. Okame is the perfect character relief you’re always looking for. While much larger of a role is Tatsumi. He is our other main character on a journey of his own that quickly becomes tied to Yumeko. I adored his darkness and constant internal conflicts. He’s every bit the brooding protector and I loved every part of his story. Overall, the world building and information on the accident Japanese demons and empires were out of this world. It look me a bit to get into the story, but once it took off, it really took off. I adored the last 40% of the book and honestly could NOT put it down. Absolutely fabulous read and cannot wait for the next book in the series. I’m living on borrowed time, fighting for survival against a deadly new virus that has no cure and a cult doing its best to brainwash me. But when a mysterious note shows up on my windowsill one night, its chilling message--Run, Wren--launches me out of the frying pan and into the fire. Within hours, everything I thought I knew about my life, my family, and my origins is obliterated, and I'm racking up enemies at an alarming rate. Between the cult I've just escaped, a violent shifter faction out for my blood, and an ancient evil who eats "chosen ones" like me for breakfast, my last hope is to join forces with four dangerous-looking men who claim they were sent to guard my life. Luke, a werewolf with a rap sheet. Creedence, a lynx shifter who never met a mark he couldn’t con. Kite, a bear kin with a mean right hook and heart of gold. And Dust, my childhood best friend and dude voted least likely to be a secret shape-shifting griffin. But are these men really what they seem? Or are my alpha guardians hiding a secret agenda of their own? I’m not sure, but one thing is for certain—choosing the right allies will mean the difference between life and death. For me, and everyone I love. 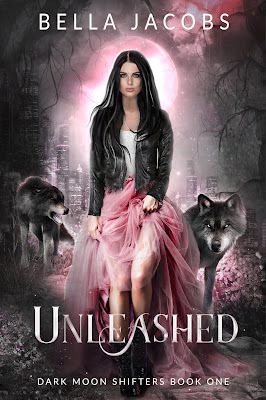 UNLEASHED is book one in the Dark Moon Shifter’s series. 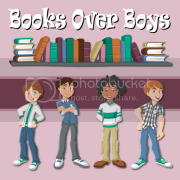 It is a true reverse harem featuring one woman and her four mates. “I just wish I had more energy,” I say, the words out before I can stop them. I never talk about my condition with Kite. I don’t want to remind him that I’m not the shiniest apple in the barrel. Fair to him or not, I want him to pick me. “Do you trust me, Wren?” he asks, using my given name for a second time in just a few minutes, making me realize how rarely he uses it and how rarely I’ve seen him with this kind of fire in his eyes. “I…” I hold his gaze, but no matter how deep I look, I only see concern. Caring. Maybe something even stronger than caring. Maybe something close to the way I feel when I’m in his arms and the world suddenly makes more sense than it did before. He pauses, seeming to debate something silently before he whispers, “But then again, you might.” Before I can assure him that hope is a lost cause in this case, he leans down and presses his lips to mine and I’m the thing that’s lost. My eyes slide closed as my heart lights up, each warm, sweet brush of his lips against mine making my body fill with magic. Electricity floods my nerve endings and my pulse races so fast I know I would fall over if Kite let me go. But he doesn’t let me go, he wraps me up in his strong arms, hugging me close as he lifts me off my feet, bringing our lips onto a level playing field as he takes charge of holding us both steady. With a soft sob of gratitude for this kiss, this miracle, this moment of feeling like the luckiest girl in Seattle, I wrap my arms around his neck and kiss him with everything in me, not caring if I use up all the energy I’ll need to get home.